Welcome! Come in, make yourself comfortable and fix a cup of complimentary tea. We are so glad you have found us. Wait, what did you find? Life Keys Energy is a different kind of yoga studio & holistic healing space, for a different kind of yogi. In this studio, we practice radical inclusion by weaving multiple modifications into every flow. We offer classes designed for every starting point. Our teachers incorporate chairs, bolsters, straps, blocks, and blankets into yoga flows allowing for a truly inclusive practice. 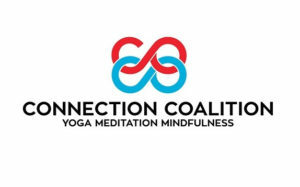 We are well versed in adaptive & trauma informed yoga, embracing the concept “if you can breathe you can yoga.” Opening with guided meditations and closing with long savasanas (rest at the end of practice) turns our yoga classes into a self-care experience. We add to relaxation by utilizing heated washcloths infused with essential oils, sound healing, and consensual, hands-on savasana assists. Life Keys Energy is dedicated to serving the whole person; body, mind & spirit by creating a place of belonging and joyous healing. We strive to embody the yogic concepts of seva (selfless service) & sangha (community) by truly welcoming everybody. Beckie, the owner, donates 15- 20 hours a month of yoga instruction to demographics who are not traditionally served in the yoga community. She also organizes hands-on service projects quarterly, offering the opportunity to truly make a difference locally. As a holistic healer, Beckie is certified in multiple healing modalities and customizes each appointment to your particular needs. She holds joyous sacred space allowing you to authentically heal from the inside out. There are many paths to get where we are going, we can help you find which one is right for you. We are grateful for this award and for all of our wonderful customers. Beckie is a 200 RYT-200 registered trauma-informed yoga instructor with Yoga Alliance. 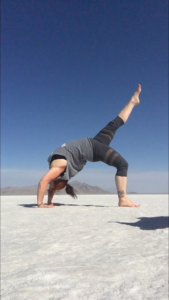 Beckie is a volunteer and certified Trauma Informed Yoga Teacher with Veterans Yoga Project. Serving those who served. 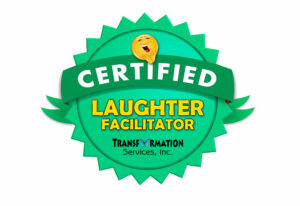 Beckie is a Certified Laughter Yoga Facilitator. Infuse your life with joy and free yourself from the past. Beckie is a volunteer and certified in Trauma Out Reach through The Connection Coalition. Post-traumatic growth is possible. Beckie is certified in Silver & Fit, exercises that encourage range of motion, strength building, and flexibility for seniors.